A slow falling evening under the dogwood blossoms. the memory of raspberry sorbet still on my tongue. the past the past, the now right here. it will be a night for candles. in there debi ..the dogwood is fabulous! Bring in the soft light. Walk slowly. Begin healing. p.s. congrats on Somerset Life!!! Beautiful. Yes, a time for everything, sadness, grief, hope and joy. Sometimes all at once. It feels like you are there, able to take it all in, not just the sadness. And I am glad. coming into a peace. 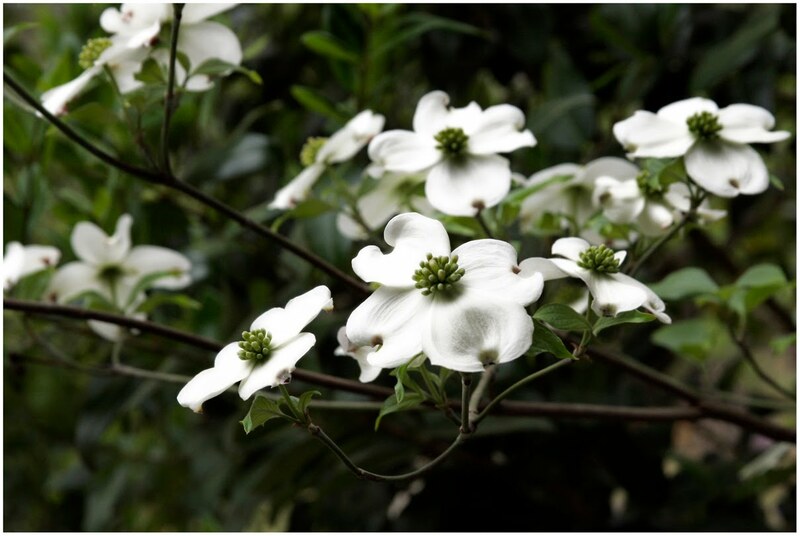 the dogwoods are lovely and pure. Tell me what words would give you strength, support and encouragement and I will gladly say them. Tell me what words would lift your spirits, free you from grief, pain and sorrow and I will no sooner have it said. For I am at lost for those words that I feel I need so badly to say and I do not want to be a helpless bystander with nothing left to do. All I have to offer is an ear to bend, a shoulder to cry on, arms to hold close and a heart with never ending love. We shall use it wisely. (I wrote this fro Mark's mom in 1997, but it does seem to fit here too). I remember my mom once saying she loves dogwood blossoms because they look as though they have fallen from the sky and softly landed on each branch. They are so beautiful.